WAN optimization, also known as WAN acceleration, is the category of technologies and techniques used to maximize the efficiency of data flow across a wide area network (WAN). In an enterprise WAN, the goal of optimization is to increase the speed of access to critical applications and information. traffic shaping, in which traffic is prioritized and bandwidth is allotted accordingly. data deduplication, which reduces the data that must be sent across a WAN for remote backups, replication, and disaster recovery. compression, which shrinks the size of data to limit bandwidth use. data caching, in which frequently used data is hosted locally or on a local server for faster access. monitoring the network to detect non-essential traffic. creating and enforcing rules about downloads and Internet use. protocol spoofing, which is a method of bundling chatty protocols so they are, in effect, a single protocol. WAN optimization vendors include Blue Coat Systems, Cisco, Expand Networks, F5 Networks, Juniper and Riverbed Technology. > Michael Morisy explains WAN optimization's potential for telecoms. > SearchNetworkingChannel.com has collected WAN optimization learning resources in this tutorial. > Wiley offers this WAN optimization ebook. 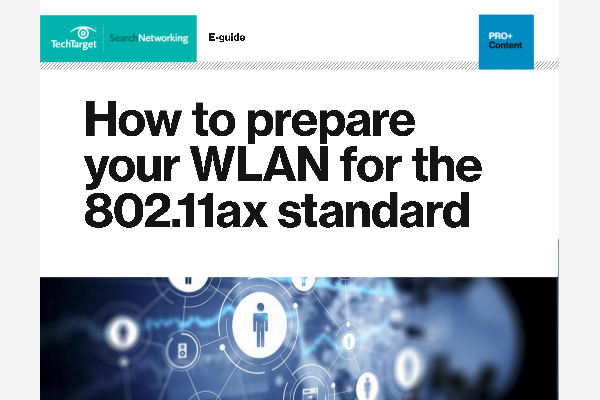 Read our in-depth expert analysis of the top WAN optimization products on the market. Considering purchasing a WAN optimization appliance? Read our expert advice on the WAN optimization techniques to consider before making a purchase. Read expert reviews of Barracuda, Cisco's Meraki, Dell's SonicWALL, Riverbed Steelhead and SilverPeak, to help you determine which WAN optimization appliance is right for your organization.